So it seems that the UAE, or more specifically, Abu Dhabi, has been cultivating mercenary armed forces in the desert. Their aim is reportedly to either quell uprisings within the Emirates, act somehow against Iran or to be first responders to a terrorist incident. All in all it is really rather impressively poorly thought out. So the UAE want to rely on a bunch of paid killers for their security. People who have specialised (particularly in the South African case) in taking money and killing people at the behest of…well…anyone. What a morally bankrupt policy. The report notes that such an army might be a part of a plan, one day, to take back the Abu Musa and Tunb islands from Iran. What a joke. There is no way that the Emirates would be that stupid: that would be a bona fide act of war, however justified historically. And I would not want such a mission to be entrusted to a bunch of mercenaries who couldn’t give two hoots about the lumps of rock in the Gulf: if there’s a good chance you’d die (do you think the Iranians would give up without a fight, or fight fairly for that matter?) it hardly matters how much you’re being paid. A bunch of mercenaries as first responders to a terrorist attack? What – exactly – would their rules of engagement be? What role would traditional CT forces play in this? How would they hand-over? What legal authority would they have? Let’s not forget how integral military forces are to the prestige of Gulf (if not most) countries and particularly to the leaders. Deploying such mercenary forces would be a monumental slap in the face for any and all Emirati forces. It clearly and brazenly states – to the world – that every last one of them is rubbish at their job; that they cannot do what they are paid and trained to do: defend their country. I think that the shock-waves of shame would reverberate around the Emirates. Overall, then, IMHO (as the kids say), this idea…needs some thought. Update: I’ve just updated all the typos in this article – apologies! Ta da! 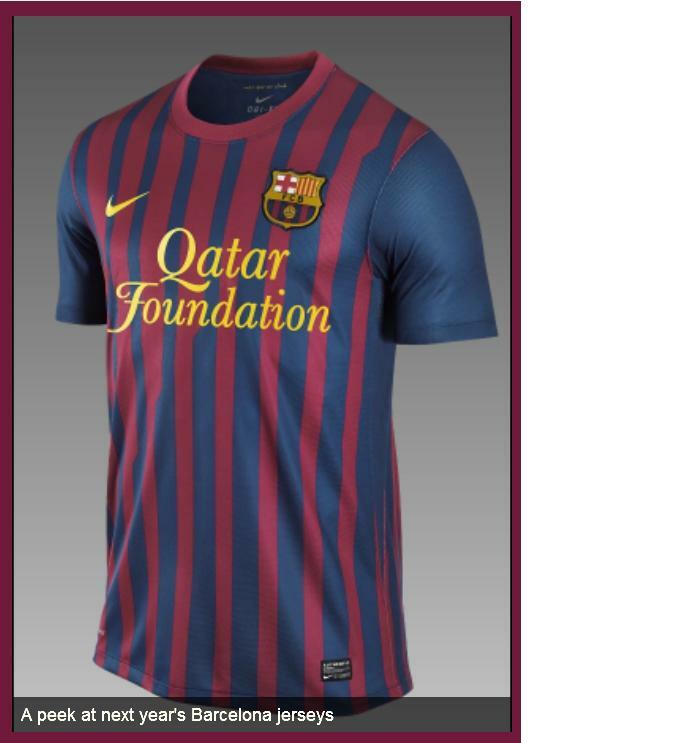 Here’s Barcelona’s new football strip for next season, complete with the Qatar Foundation logo. Money well spent…?